Jessabella Reads: Baby is Here + Blog and Giveaway Info!!! 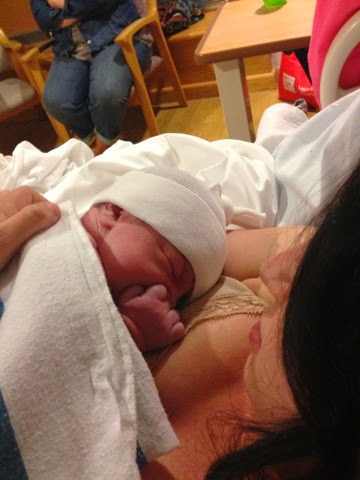 Baby is Here + Blog and Giveaway Info!!! Hey everyone....I had my baby! : ) She is so beautiful and I love her soo much! Her Daddy and I are overjoyed that she is finally here and that she was born when she was READY. I was a week overdue, and they had me scheduled for an induction for 6:30AM on 5/29. I called the doctor the day before and asked for a few more days to give her some more time to come on her own. Guess what? I went into labor around 10pm on the 29th! I'm so glad I waited and didn't have to be induced! The only negative was that I waited a bit too long to go to the hospital and I was 8cm dilated when I got there, so by the time I got my epidural, I was 9cm and in horrible pain. It never even had a chance to start working before I had to push her out. Yes, that part was not fun...but I started pushing at 2:00AM and she was born at 2:06AM! Thank God! Now, I have two beautiful daughters and I couldn't be happier! Now for what I know many of you are expecting...pictures!!! Okay...now for some blog info! I hope anyone who went to BEA this year had an amazing time! Since I was unable to go, I'm going to set up a "I had a baby instead of going to BEA giveaway" lol! I will start setting it up for you guys tomorrow and put together 3 prize packs, so there will be 3 winners. I'm not sure what I'm going to give away yet, but I can promise you that it will be epic! I have a ton of great content scheduled for June and the rest of the summer, and I'm going to begin a regular review schedule now that I have had the baby and am no longer exhausted and miserable! I have some older review books that I need to write reviews for as well as upcoming releases mixed in. Hope you all will enjoy the content that I have coming up! I'm super excited about it, so I think you all will be too! Thanks for dealing with my little blogging slump while I was pregnant. I couldn't do this without you guys! I love you all so much and your comments truly make me so happy. I need to get better at commenting back, which is something I will work on from now on. Please know that I read each and every single one, and I truly appreciate every time someone takes the time to comment on one of my posts. CONGRATULATIONS!!!! 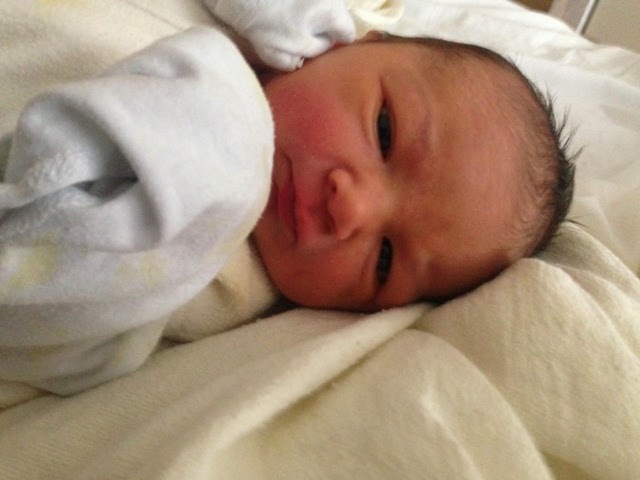 and welcome to the little gorgeous and super cute Adrianna Marie . Thank you...and I completely agree! Congratulation!!!! She is just beautiful. Oh my gosh! Congratulations! She's so yummy :) Aww you go girl! Congrats!! She is a cutie. Yay! 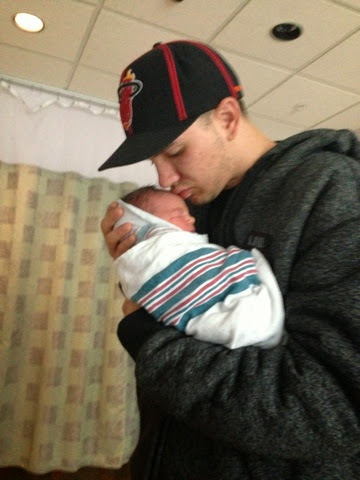 Congratulations on little Adrianna! Congratulations on your beautiful little girl! I love it - "I had a baby instead of going to BEA giveaway" - Too funny!! Congratulations on your BEAUTIFUL, BEAUTIFUL baby girl!!!!!! And what a beautiful name you have picked out for her!!!! Congrats!! She's really cute :) And I love her name! Congratulations to the entire family, woohoo! !